Your Iowa road trip will be an unexpected adventure of your lifetime. There are lots of great activities for you to enjoy such as shopping, camping at the many state parks, casinos, wineries, beaches, and much more! National Parks are always a fantastic idea for you to visit on any Iowa road trip and if you are in the Harper's Ferry area then you may want to consider stopping at Effigy Mounds. There are no access roads to the park but you may enter by hiking and you will see some beautifully preserved Indian Mounds. 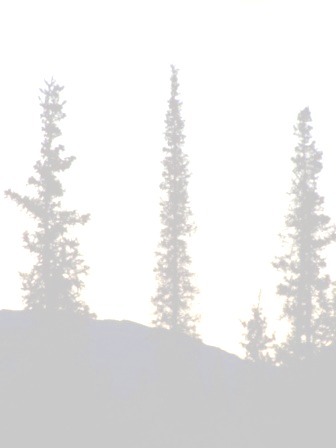 There are over 14 hiking trails for you to explore here. Prairie Meadows in Altoona is a race track, casino with over 1,900 slot machines, and features live entertainment. There are musical acts on almost a nightly basis and the dining is available at the Triple Crown Eatery, AJ's Steakhouse, or Champions Restaurant. Isle of Capri Casino and Hotel in Bettendorf has over 30 gaming tables, 1,000 slots, and of course live poker action. Catfish Bend Casino in Burlington has lots of great slots and games along with a spa, hotel, and events center. Wild Rose Casino and Resort in the Clinton area has lots of slot machines and great action. Rhythm City Casino in Davenport has tons of slot machines and live entertainment. Mystique Casino in Dubuque has craps, keno, roulette, poker, slots, restraunts, simulcast horse racing, and live greyhound racing! Lady Luck Casino Marquette has a showroom and will remind you of being in Las Vegas. Casino Omaha in Onawa has slots, Pia Gow, craps, and roulette. Terrible's Lakeside Casino in Osceola has two floors loaded with slot machines and gaming tables. Riverside Casino and Golf Resort features world-class golf, fantastic dining, a spa, and all the gaming you could ever imagine. Argosy Casino Sioux City is a three-story riverboat casino with a tremendous amount of games packed in this facility. Winna Vegas Casino is a great idea for your Iowa road trip if you are in the Sloan area. It features slots, blackjack, craps, roulette, and a poker room. Meskawaki Bingo Casino Hotel in Tama offers everything to keep grandma and grandpa occupied! Isle Casino and Hotel at Waterloo has lots of slot machines, table games, and live poker action. Outdoor Festivals are not common in Iowa but visiting the Iowa State Fair in Des Moines is a great idea for a family-oriented Iowa road trip. Des Moines also has the Nightfall on The River and the 80/35 festival. Story City: Factory Stores of America Outlet Center features twelve outlet stores. West Des Moines: Historic Valley Junction has over 120 specialty stores, art galleries, antique shops, restaurants, etc. This is the only upside down roller coaster in Iowa and it will take you for a looping good time! You'll spin and swing uncontrollably for a great time! Get launched at warp speed over 200 feet into the air! 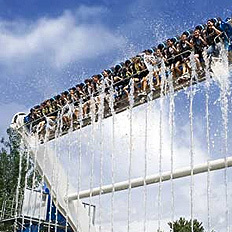 This is an amazing ride that gets you absolutely soaked! This is something you must check out while you are in the park! Arnold's Park was built way back in 1889 and will remind you of simpler times in your life and is located on the shores of Lake Okoboji. You'll want to check out "The Legend" which is an amazing wooden roller coaster or one of the many live music concerts in the area. There are amazing beaches, a Maritime Museum, dining, shopping, and of course the Queen II excursion boat. There is something for everybody in your road trip group at this great park. Since National Parks are not common in Iowa then you may want to explore a camping excursion at one of the many state parks in the area. The parks system in Iowa is top of the line and there are so many outdoor activities that you can enjoy at these parks. 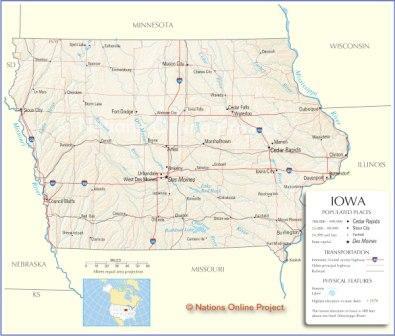 For complete information about the parks you may visit the Iowa Department of Natural Resources website. During the summer months (between Memorial Day and Labor Day weekends) you can enjoy yourself at the many beaches that Iowa has to offer. The water quality is measured at all of the State Parks to ensure your safety.